In 2018, there were 55,911 wildfires in the U. S., which burned 8.6 million acres, according to the insurance information institute. Nearly 90% of wildfires are caused by humans. Help reduce your community's wildfire risk by participating in a local event for Wildfire Community Preparedness Day. To reduce the risk of these fires happening in your or your insured's home or business. SERVPRO can help clean dryer vents and ducts that may have lint buildup. Make sure to clean your lint filter after every load of laundry and make sure that the outdoor vent flap will open and that it is not restricted by anything. Founded in 1881, the American Red Cross is a charitable organization that relies on donations and volunteers to carry out their mission. Whether it tis disaster relief, blood donations, military family support, or training and certification in CPR, lifeguarding, first aid, and more, the Red Cross is committed to helping those who need it most. The American Red Cross is part of the Global Red Cross Network, the world's largest volunteer network found in 187 countries, according to recross.org. Every year, March is declared Red Cross Month by the President of the United State. The American Red Cross celebrates by honoring the "everyday heroes" who support and carry out the mission of the Red Cross by donation, giving blood, taking a class, or volunterring. To learn more about the American Red Cross, or about how you can get involved, visit redcross.org. DO YOU LIVE IN A POTENTIAL FLOOD RISK ZONE? Check out FEMA's Flood Map Service Center by visiting msc.fema.gov, where you can easily enter your business, home or other address to determine if you property is at risk for flooding based on a visual flood map. Flooding can happen fast, in many environments. The following is a list of items that the American Red Cross recommends that you should have packed and ready to go in the event of an evacuation due to flooding. >Water - a 3 plus day supply, one gallon per person per day. >Food - a 3 plus day supply of non perishable easy to prepare food. >Medications (7 day supply) and medical items. P - pull the pin. Hold the nozzle pointing away from you and release the locking mecahnism. Read the instruction on the fire extinguisher and become familiar with them before a fire breaks out. Remember, extinguishers do have limitations. 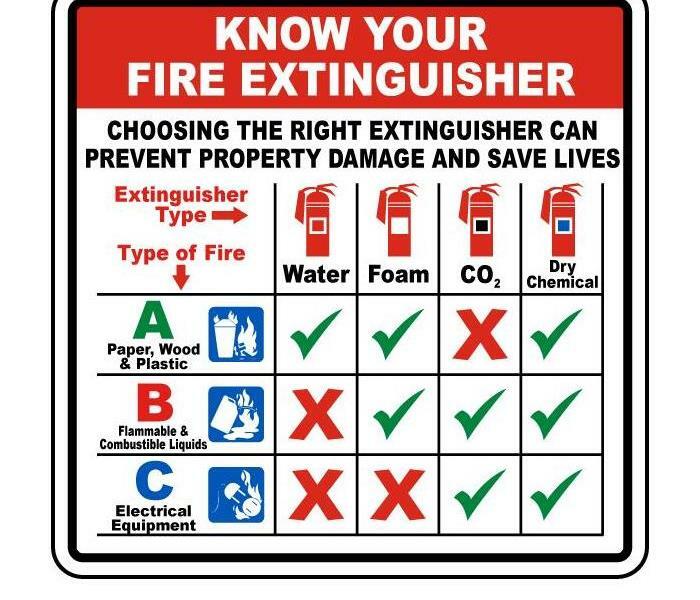 It is also important to ensure you have the correct type of extinguisher for your facility. To find more information on choosing the appropriate class of extinguisher, please visit the NFPA website at nfpa.org. 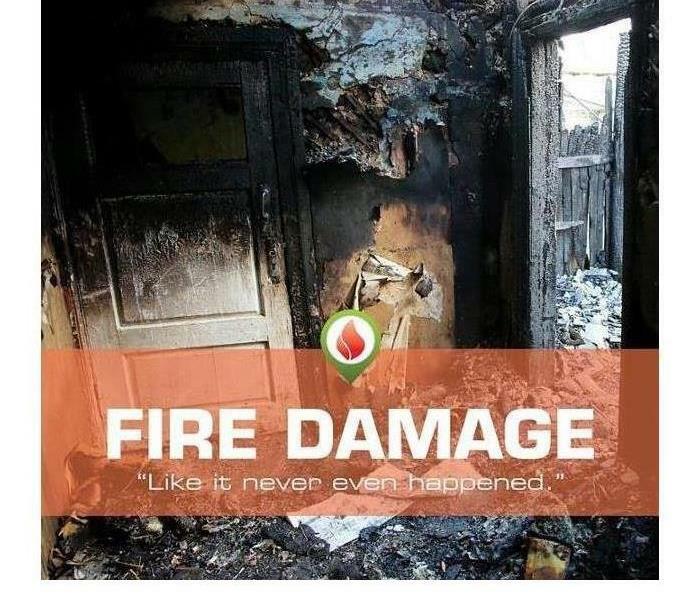 7 - People die every day from a home fires. 36 -People suffer injuries as a result of home fires every day. $7 Billion - In property damage occurs every year. CLASS A - This is the most common type and can be used to put out fires in ordinary combustibles such as cloth, wood, rubber, paper and many plastics. CLASS B - Used on fires involving flammable liquids, such as grease, gasoline and oil. CLASS C - Designed for fires involving appliance, tools, or other equipment electrically energized or plugged in. CLASS D - For use on flammable metals:often specific for the type of metal in question. These are typically found only in factories working with these metals. CLASS K - Intended for use on fires that involve vegetable oils, animal oils, or fats in cooking appliance. These extinguishers are generally found in commercial kitchens, but are becoming more popular in the residential market for use in kitchens. Winter weather can bring about more issues than just slippery roads and a sidewalk to shovel. >Be sure to completely drain water from swimming pool and sprinkler lines, as well as outside hoses. >Open kitchen cabinets to let warm air circulate near the plumbing. >When the weather is extremely cold, let water drip from faucets that may come from exposed pipes. >Keep your heat set to the same temperature both day and night. ICE DAMS can be a little-known, but major problem during the snowy season. They form when heated air melts roof snow downward into water dammed behind still-frozen ice. When the trapped water cannot safely flow or run into the gutter system, it can backflow under the roof’s shingles and into the structure’s interior areas, as well as causing gutters and shingles to move or fall. Icicles hanging on the gutters can be an initial sign of an ice dam. Also, check for water stains or moisture in your attic or along the ceiling of exterior walls of your house. Water stains or moisture may be an indication that an ice dam has formed and water has penetrated the roof membrane. Removing an ice dam as soon as it is spotted is vital to helping to prevent damage to you property. 4/5/2019 - WHAT'S IN YOUR AIR DUCTS? 3/20/2019 - DO YOU LIVE IN A POTENTIAL FLOOD RISK ZONE?